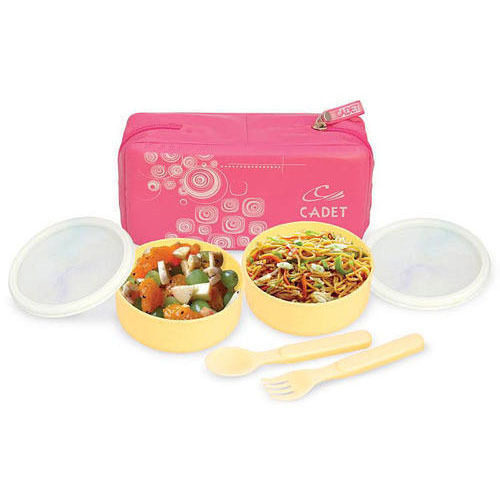 We are one of the Leading Manufacturer and Exporters of high-quality Plastic & Stainless Steel Lunch Box, Baby Products & PVC Bags on O.E.M Basis as per our buyer's needs & specification & branding for corporate and institution gifting purpose & not for retail distribution. "Arihant Industries" began its journey in the year 2003, with designing excellence and relentless innovation in products. For over these years of valuable experience in creating a niche for ourselves, we have made a life of our customers easy and convenient with our finest range of products. We have embarked our presence in this competitive market as a reliable manufacturer. Plastic Lunch Boxes, Stainless Steel Lunch Boxes and Baby Care Products. These lunch boxes and water bottles are widely used in schools and offices & for corporate & festival gifts. The Insulated Lunch Box has the capacity of keeping the food warms for 4 to 6 hours. Our finest range is Sweet Angel Premium Baby Care Products Like Water-Filled Teethers, Warmers, Baby Mats, PVC Packing Bags for Towel, Blankets, Lunch Box etc. We have the good manufacturing facility with us that enable us in giving shape to a huge range of products as per customer demand. It is installed with newest and most advanced machines and tools which are upgraded as per the innovations and changes taking place in the market. Further, the strategy of our company is to add the new range to products at regular interval of time and attract new customers. Besides, we are enlightening and educating our clients towards the sustainable development and its future scope.